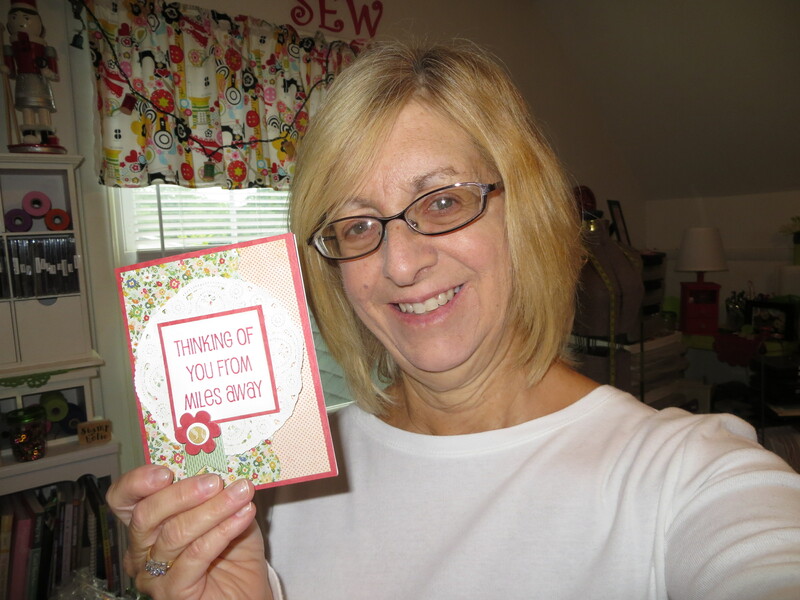 Hi, Today is National Coffee Day and I am participating in the Coffee Lovers Bloghop! This is a fun bloghop with great prizes from awesome sponsors! Hi!! Today is the first full day of Fall, so I was inspired by the falling leaves to do a shaker card! 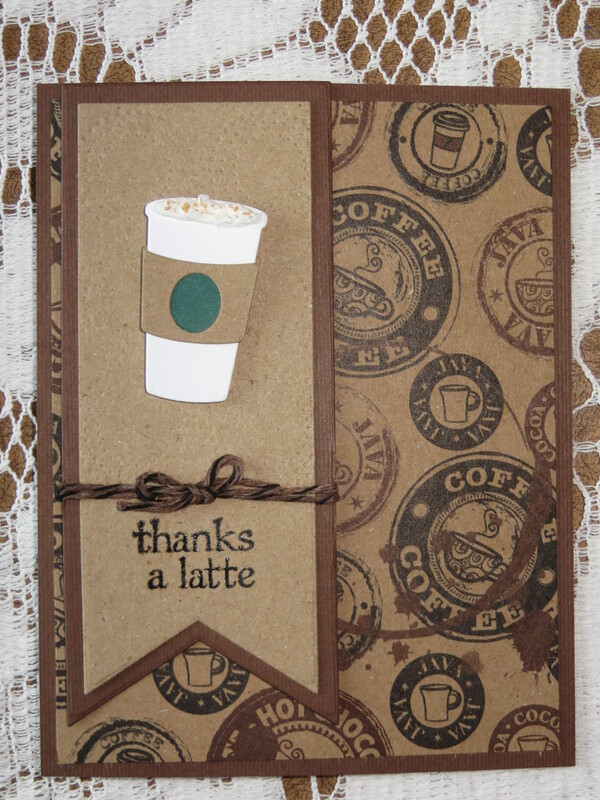 I used kraft paper and embossed it with a Darice woodgrain embossing folder. 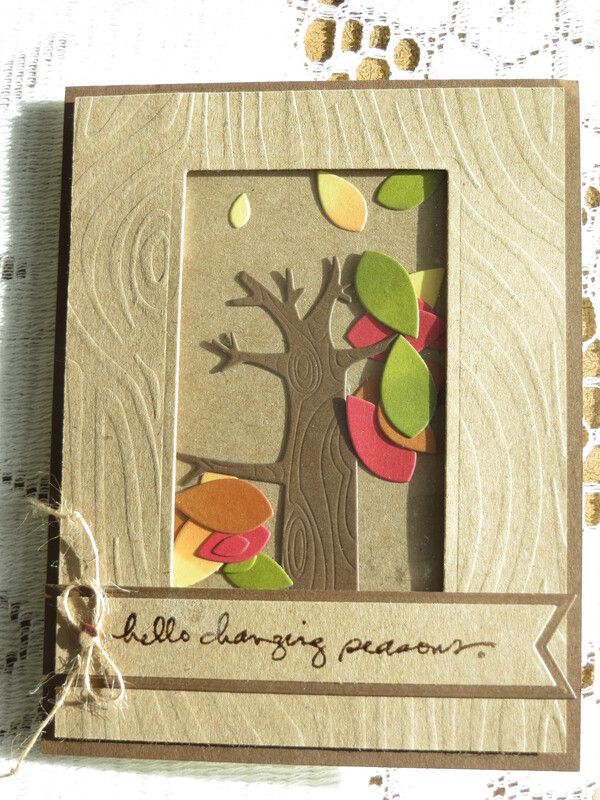 The tree and leaf die is from My Favorite Things, and I colored the edges of the leaves a bit with Memento ink. The sentiment is from Technique Tuesday and I used My Favorite Things banner dies to cut it out. I added a bit of twine and a tiny acorn from Impression Obsession. I am pretty happy with it! Then I got inspired to make a Halloween one. It’s not as much of my favorite, but I think it is still cute. 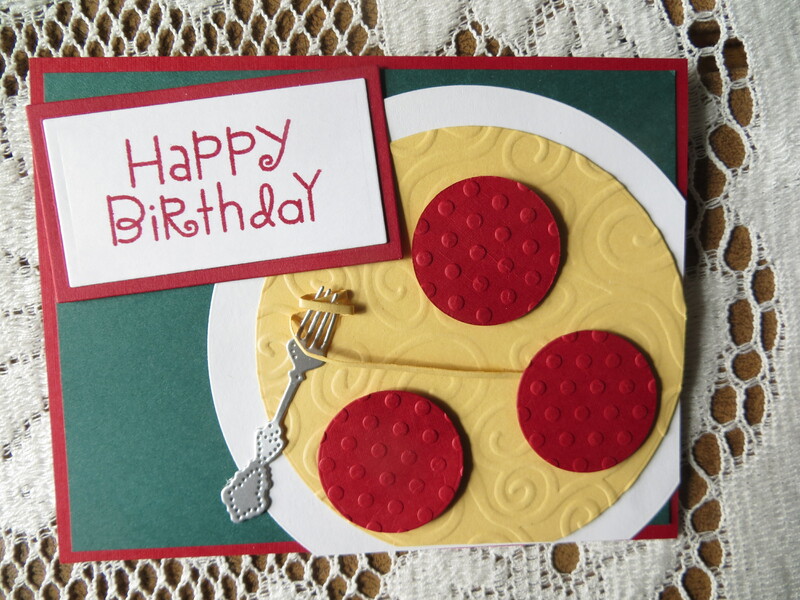 I used a Darice spiderweb embossing folder and distressed the paper a bit with black ink. 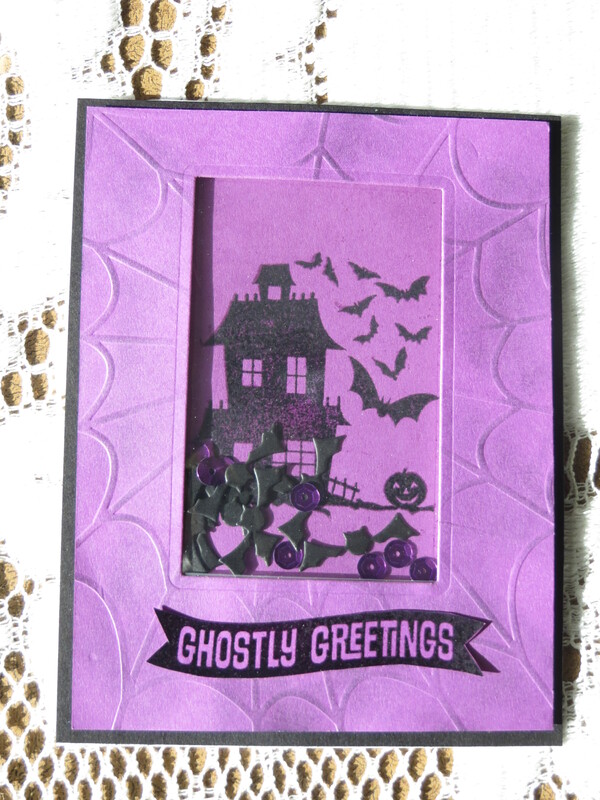 The spooky house is a dollar stamp from Joann’s, and I embossed it with clear embossing powder, so it stood out a little. The bats are from Memory Box, and I added purple sequins to the mix. 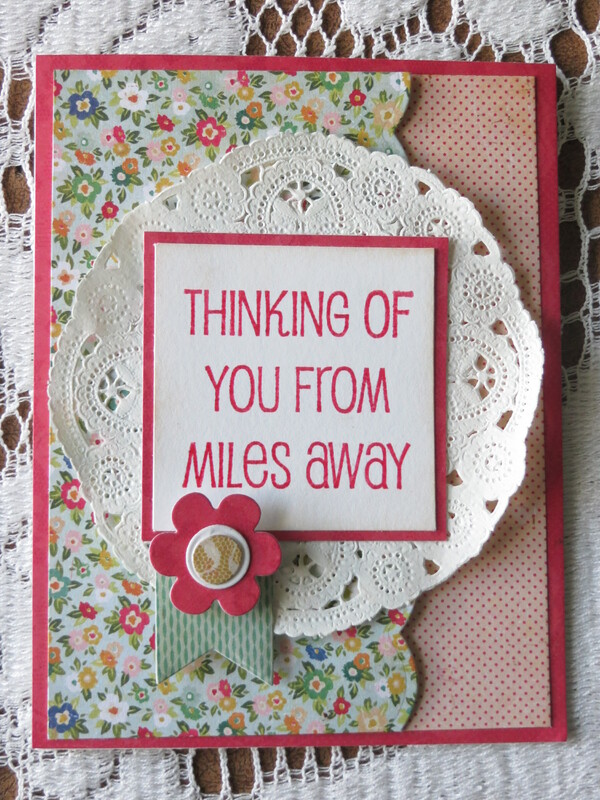 The sentiment is from My Favorite Things, and I heat embossed it also with clear embossing powder. Hope you all have a great day! Hi again everyone! 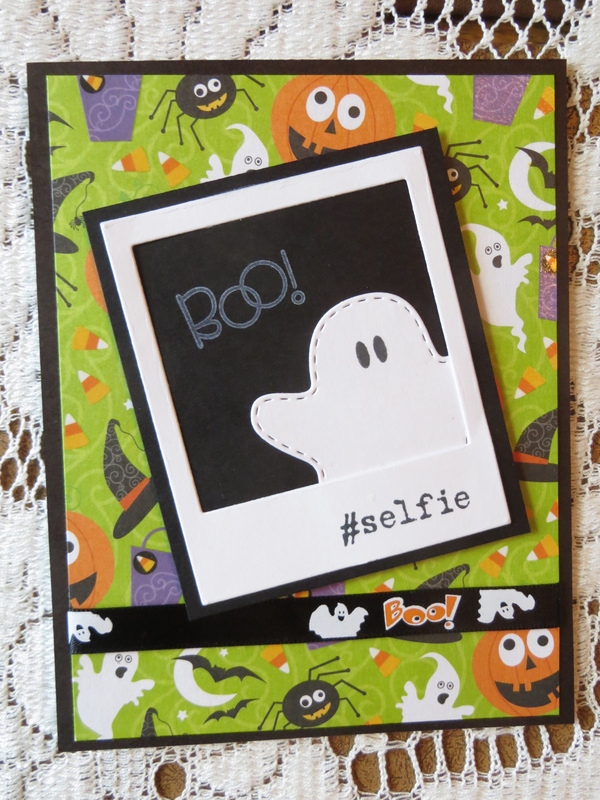 Taylored Expressions, one of my favs, is having a prize challenge called Sketch, Selfie, and Share.